Colin McGuire is a poet and performer from Glasgow, who lives in Edinburgh, who continues to develop a reputation as a dynamic, engaging performer and poet. He is also an ESOL teacher and Mindfulness Meditation practitioner. He is the author of 'Everybody lie down, and no one gets hurt' (Red Squirrel Press, 2013), and his first full collection, 'As I sit quietly, I begin to smell burning' (Red Squirrel Press, 2014) and 'Enhanced fool disclosure' (Speculative Books, 2018). 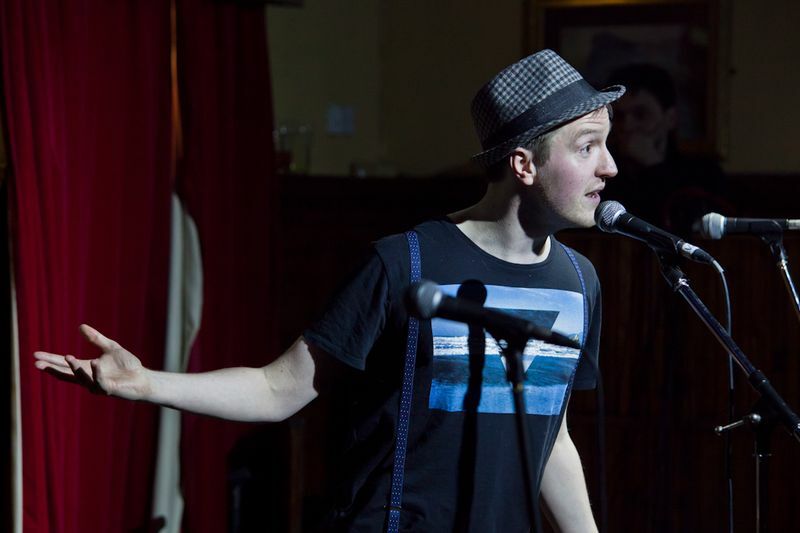 He has performed in countless poetry cabarets and slam performances across Scotland and the U.K., winning the Shore Poets Quiet Slam in 2014, and the Luminate Slam 2015 and he got to the semi-final in the BBC Fringe Slam in 2013 and 2018. He has facilitated the Artcore: Writers Inc Group at Edinburgh Central Library in 2016. He won the Out:spoken award for the 'film poetry' category and best poetry overall in London in 2018. He is also leads a reading and creative writing session with Open Book Charity group. McGuire has also created a long-form spoken-word theatre performance 'The Wake-up call' which has been performed at the Scottish Storytelling Centre, Edinburgh Lyceum and at the Hidden Door festival in Edinburgh 2018. It is set for a three-day run on April the 25th, 26th and 27th of 2019 at the Roxy Theatre as part of the Assembly Festival. Colin is available for author visits, talks and workshops and mindfulness workshops at your library, school, college, university, writers’ workshop, or other group. As a member of Scottish Book Trust’s Live Literature database, you can apply for funding to cover half the cost of Colin's visit. For other types or lengths of event, please email me.